I admit it. Some days, I would forget my head if it wasn't attached. I always have so many irons in the fire that sometimes, I can't remember if I took my medicine or not. Now, I am not one to used a lot of medication, but right now, while I am dealing with this thyroid problem, I have to take a tablet daily. As mornings start early to get my girls fed and all of us out the door, things get chaotic. After returning home, some days I look at my bottle of prescription meds and thing, Did I take that this morning? Sometimes I can track back in my head and have a definitive answer. Other days, not a clue. So I don' take it. And here recently, I have had a stubborn cough, forcing me to take medicine every four hours. I take the meds, but then wonder when I am supposed to take the next dose because I didn't pay attention to the time. So I guestimate when I took the last dose and add a couple hours just to ensure I don't over-medicate myself. I am not alone in my forgetfulness. Roughly 50% of patients don't take their medicine when they are supposed to, in many cases, leading to death. It also leads to increased healthcare costs. 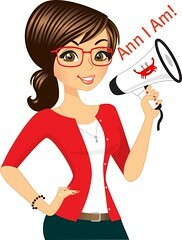 However, there is a revolutionary new product out to help patients remember when it is time to take their meds. This invention is called the Timer Cap and basically, it works like a stopwatch. Once you open the bottle and close it, the timer on the cap resets to zero and begins ticking off the minutes since the bottle was last opened. 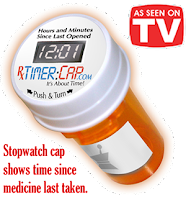 Patients who use the Timer Cap containers show a 34% improvement in adherence. Some info about the Timer Caps. They are plastic medicine bottle that come in various sizes with a timer on the cap. The battery is not replaceable; they were designed to be disposable. Batteries are designed to operate the cap for one year in continuous operation or two years in standby. If caps haven't been opened for more than 100 hours, they go into sleep mode to save the battery. At this time, the caps are only available as a Child Resistant Closure to fit common Rx bottles. Clean with a damp cloth; do not immerse in water. Right now, these are available mainly online at http://www.rxtimercap.com/ but they are also sold at Bartells and Tops. Would you like to try them? Or win some for a parent or someone you love? Rx Timer Cap has offered to giveaway 6, yes, six, Rx Timer Cap vials! Just enter the easy Rafflecopter giveaway below. Disclosure: I received sample Rx Timer Vials to facilitate this review. As always this review contains my honest opinions. Remembering what time to take medicine is a pain. This is a great concept. Love that it is child proof still. This is a fantastic idea, wish something like this had been around when my father was going through chemo, he had so many different tablets it was hard to constantly keep up. Oh, man, my husband could really use these! He always forgets to take his meds, or forgets whether or not he DID take his meds. I DO really want to win! I also take several meds every day, but I've been taking them for so long that I have a pretty good routine. However, any time I have to take antibiotics or something like that throughout the day, I do have a lot of trouble remembering to take them. These would really help with that! I really want to win! :) We could really use these.